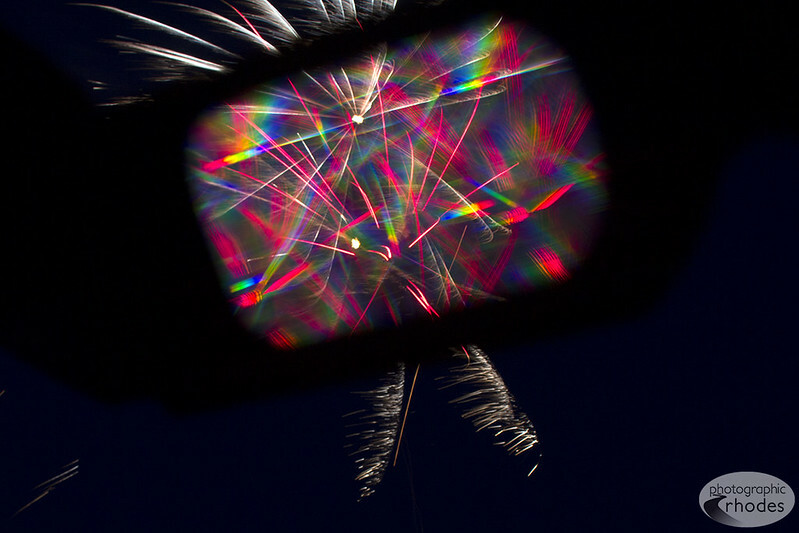 This is an image of fireworks taken through the lens of 3D fireworks glasses. I didn’t get much time to experiment – the glasses were very popular with the little ones – so they didn’t want to share very long! The effect was pretty neat though.